Glen Dimplex Heating & Ventilation announces that its new Zeroth Energy System has been shortlisted for the prestigious London Construction Awards (LCAs)technological innovation of the year. 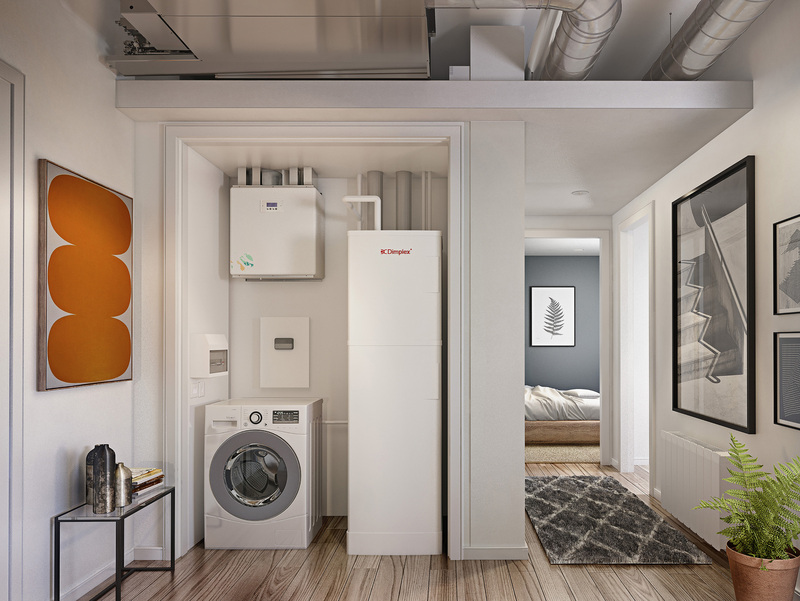 The Zeroth Energy System offers an innovative new approach to heating and cooling city apartments in multi-occupancy residential buildings. Zeroth creates comfortable temperatures within apartments and reduces overheating in communal areas – both common challenges modern apartment block builders need to address in their designs. By creating a series of ‘energy loops’ within a building, Zeroth replaces conventional high temperature systems with a cool, low pressure system, maintained by the building’s central plant room. Low temperature water flows around the building’s main loop to each apartment, which all have their own ‘mini loop’ where an individual heat pump produces heated or chilled water to the desired temperature. The water can then be passed to fan coils, which deliver warm or cold air into a room through vents in the ceiling or wall, or to underfloor heating, or smart electrical, fan-assisted wet radiators. What is more, the cost of heating system losses is no longer spread across all residents, which means they only pay for the heating or cooling they use. The LCAs recognise achievements, developments and innovation within London’s booming construction industry and feature a wide range of categories for solution providers, contractors, architects, developers and local authorities. The winners will be announced during the awards ceremony this October.